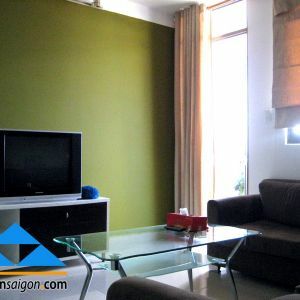 Thien Phu property for rent serviced apartment on Vo Thi Sau has 2 bedrooms for rent fully furnished, located right in the Le Van Tam Park, district 1. Serviced apartment on Vo Thi Sau street in District 1 in an area of 75m2 is designed 2 bedrooms, 1 living room, 1 kitchen and 2 bathrooms. The kitchen is equipped with fridge, gas stove and microwave. 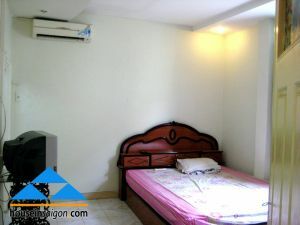 The space of the bedrooms is airy with lots of windows and is equipped with full facilities. In particular, there is a bathtub in the bedroom so you can bathe in warm water with a few drops of essential oils to relax after the stressful working day.